We are lucky to live in a world where technology has augmented much of our lives. Thanks to advancements in network communications and computing, we can work from anywhere, collaborate on projects with team members across the world, and have access to millions of pages of data with the click of a mouse. As more of our livelihood becomes digital, we also are at higher risk of dealing with security vulnerabilities. There will also be a group of people digging through code in order to exploit flaws and gain access to networks. 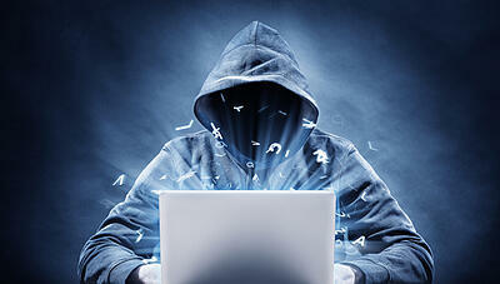 As technology evolves, hackers become just as savvy. Because of this, there is no one answer for securing your company’s IT infrastructure. A secure environment is the result of many steps that need to be taken both at the IT level and throughout the entire office. We know that application updates can be very annoying. You boot up your computer and all of a sudden you have three pop-up notifications telling you to download and install updates to some of your applications. Even though updates can be a pain (and some do take a little bit of time to download and install), they are crucial to securing your business. Software companies release updates for a variety of reasons including program enhancements and bug fixes. They also release updates as a way to patch security flaws. Without updating your applications regularly, you risk running apps that have known vulnerabilities. If your company has a BYOD policy, make sure to require your employees to update the apps on their device. Phone and tablet updates are even more annoying than the desktop kind, but your employees need to run them. If they are dealing with company information on their private devices, they need to adhere to the company policy of keeping their devices up to date at all times. A lot of hackers get in through “social engineering.” What this boils down to is that hackers use an individual within an organization to gain access to the network. This can be done through a rouge link in an email. An unsuspecting employee opens what looks like a legitimate email, clicks the link, and just like that - code gets installed on the network that gives outsiders access. Employees need to be trained to recognize these types of emails, and to break other habits such as downloading attachments from unknown senders. Keeping an eye on network traffic is one way to make sure hackers haven’t gotten into the system. Irregular spikes in activity or massive file transfers can be indicative of a data leak. Continuously monitoring the network (including applications) reduces the risk of a security breach as you constantly have eyes on your data, applications, and network components. Monitoring your network is something that takes time, and is something you can outsource if you don’t have enough resources in-house to do so. Contact Privo IT today to talk to one of our IT consultants about our network monitoring services which work to keep your IT environment safe.